Ok gentlemen, it is time to give a final touch to your preparations for the Pride season. We’re giving you this short guide in the nick of time, so waste no more days and start working hard immediately upon reading this. Start waking up really early! It can be tough at the beginning, but as days go by, you’ll realize how it gradually becomes easier for you to leave your bed with the first sun rays. One of the world’s bestselling authors, Robin Sharma, claims that waking up at 5 AM helps us achieve our own form of greatness that each of us is entitled to. If you turn on your early bird mode, you’ll have much more time to complete all your tasks and you’ll feel better about yourself, which will totally change your entire attitude. So, set the alarms guys! Once you start waking up at 5 AM, you’ll realize that your schedule suddenly has a few extra hours available for anything you’ve always wanted to do on a regular basis but claimed that you had no time for. Yup, you guessed it! Gym time can finally move from the late afternoon to early morning. And, while exercising on your own is what you’ll be doing for most of the time, it would be wise to consult a personal fitness trainer about the ways to improve your training, especially if you need to speed up your body shaping. Exercising alone has many advantages. You can maximize the potential that comes with the focus, and you hardly waste any time on unnecessary talks. However, there’s probably at least one more friend of yours who is equally desperate to get in shape at the last minute. 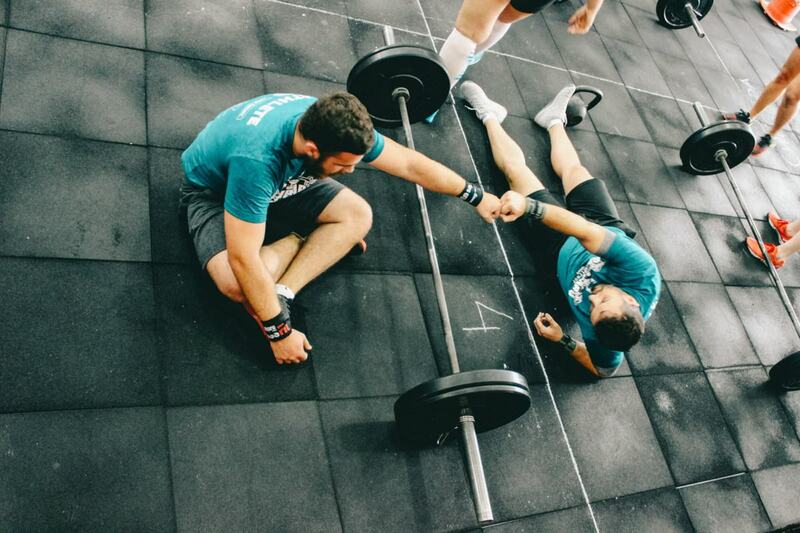 So, be kind enough to pick him up before hitting the gym. Also, both of you will benefit from the presence of the other, especially if you lift heavy weights. Ok, as silly as it sounds, this is a killer workout, especially if you are disgusted with your belly. 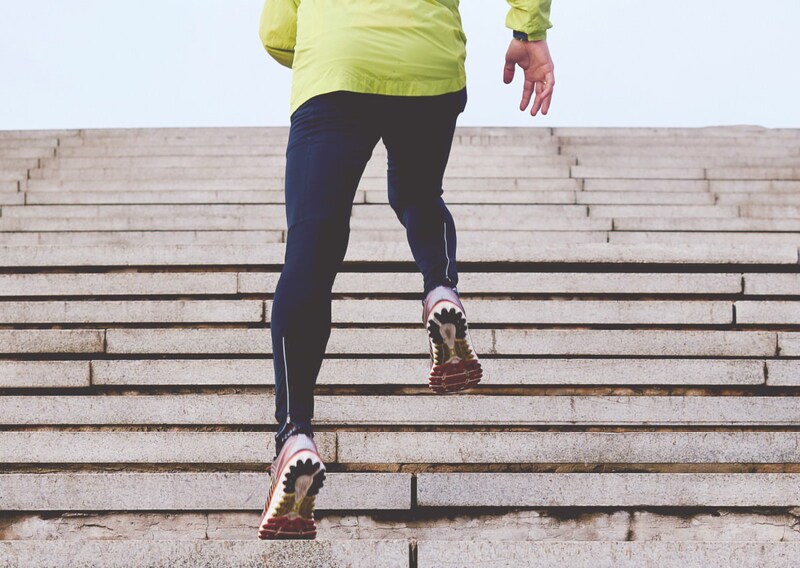 Running up and down the stairs burns more calories compared to cycling or jogging. Experts suggest that running 20 minutes three times per day will strongly support your weight loss goals. So, find some stairs and put your running shoes on! Drinking alcohol has numerous harmful effects – it ruins your liver, shortens your life and it severely damages your skin. In 2010, experts warned that drinking alcohol during meals also increases the number of calories taken during the meal. On the other hand, cigarettes ruin your looks by wiping off the natural glow from your face, damaging your hair, and accelerating the aging process. Fans of marijuana will have to put it away. Sorry to tell you, but the yellow tinge on your teeth won’t fade away unless you quit smoking cannabis right now! If it’s too late because Pride is too soon, consider trying some of the products used for quick teeth whitening. This comes as the last logical advice. All the hard work in the gym goes down the drain if you eat pizzas and cakes later in the evening. You can enjoy episodes of “Sense8” and “The Fosters” with salads and smoothies too. The Pride won’t forgive you looking bland and forgettable. It’s THAT time of the year when you are expected to be at your best in every possible way. Were you lazy? Were you too tired to keep up the hard work over the course of last few months? Nobody cares – get on your feet and start exercising! There’s absolutely no excuse for a gay man not to be up to the Pride standards.